Take your dragon magick to the highest level. From Apprentice to Enchanter, Shaman to Warrior, and finally culminating as Mystic, the five levels of initiation to high dragon magick are decoded in this companion to celebrated author D.J. Conway’s bestselling Dancing with Dragons. On your journey through each of the Inner Rings, you will be guided along a higher path of spiritual consciousness while your spellwork is strengthened and enhanced. 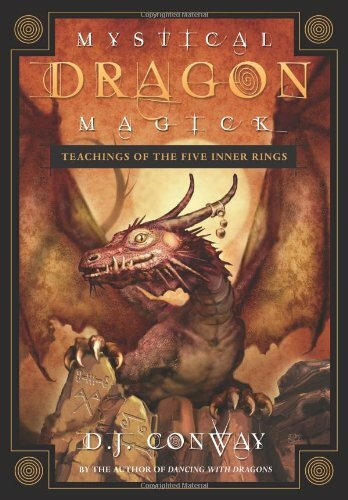 Discover how to attract dragons, draw on their legendary energy and wisdom, and partner with them as co-magicians. Incorporate herbal spells, choose appropriate ritual tools and codes, and find magickal color associations. You will also learn many practical methods for working dragon magick-using amulets and talismans, planetary powers, divination, crystals, healing, astral projection, scrying, and more.